It is appalling when you have a paid subscription and you can’t enjoy it to its fullest. I can only imagine the feeling of you missing your favourite live program due to bad weather or the rains. While I can’t control what nature has to offer, I will teach you tips to Fix Satellite Dish Signal loss during rain, cloudy weather or bad weather. You can continue enjoying your favourite programs even when it is raining heavily. Gladly, this would be helpful for standalone FTA decoders as well as company-branded ones. Some households suffer signal losses with just rain, light/heavy rain with no lightning or storm. 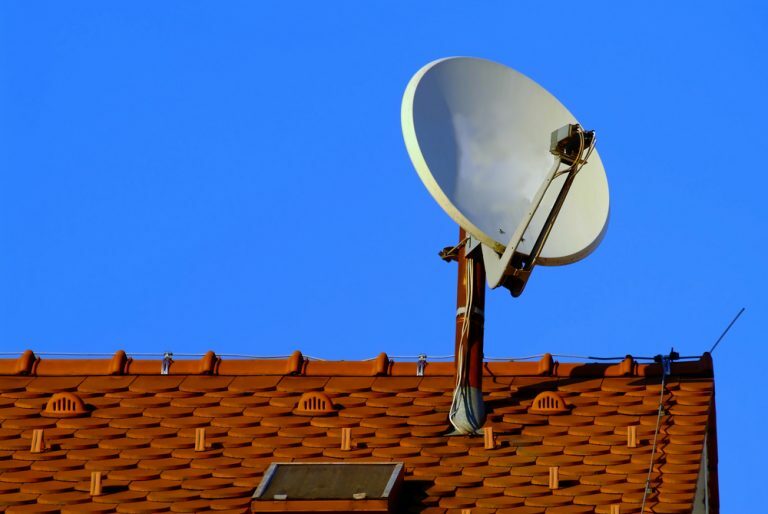 What is a Satellite dish signal loss? Causes of Satellite Signal loss on A Dish? Let’s assume you are at home, at a local bar or your favourite Club hanging out and watching a game of soccer with your friends and it starts to drizzle. I know that under normal circumstances you will get worried because if it starts to rain heavily you will not see the end of the program. The picture starts cracking (or what seems to be like a badly scratched Disc). Now, it is raining and the decoder flashes a No or Bad Signal message. In case you are using a company decoder like DStv, you get error codes alongside the message. 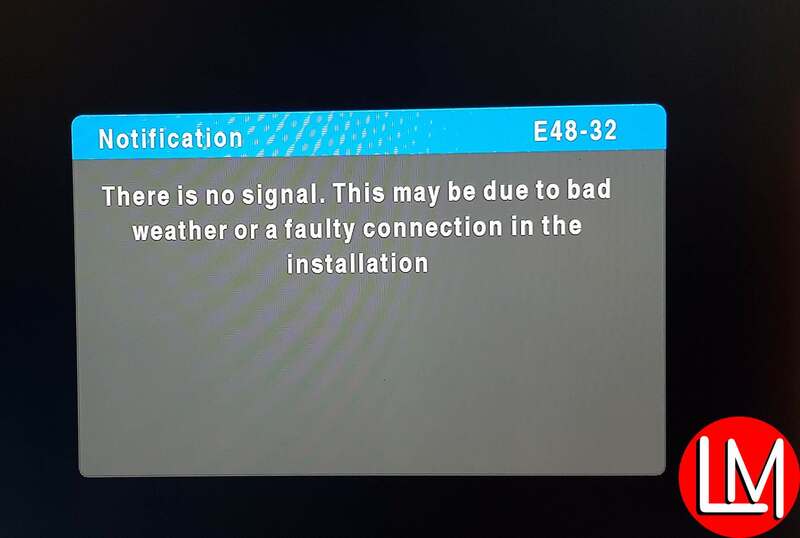 DStv will throw error code 48 to indicate a problem with either your installation or the weather. After a few minutes, the No Signal Message appears on your screen. It is now raining heavily and at least if you are in a club the music is still playing. If you are at home then you start to look for something else to occupy your time with. Now, I am saying, you don’t need to frizzle out whenever it rains as you can still enjoy your favourite programs while it is raining. A satellite dish signal is the signal strength you receive from your dish’s LNBf to your decoder via the coaxial cable. Furthermore, the quality of a satellite signal depends on various factors such the closeness of the satellite footprints to where you want to isntall the dish, bad weather, broken hardware, poor installations, size of dish, obstructions and so on. Generally, the term refers to a loss of signal strength in guided media such as a connection from coaxial/LNB cables. There are a number of factors that can lead to signal losses. Unfortunately, many people erroneously blame this on the satellite service provider. While the satellite provider may indirectly be a culprit, in 99% of the time, it is no fault of theirs. Basically, we have three categories of causes of satellite dish signal loss as you will read next. In most cases, if the signal loss is partial, the signal would be automatically restored once the rain stops. If this happens, it means you are on track with the dish alignment. However, if this happens every time it rains, it means something is not right. Bad weather: The most prominent causer of loss of signal during bad weather is the bad weather itself. Climatic conditions such as snows, clouds, lightning, windstorm and rainstorm can naturally cause a loss in signal. While you can control some of this conditions, you may be helpless with others. The good thing is that most of these atmospheric conditions are shortlived. Similarly, a natural phenomenon such as a growth in the branches of the trees very close to your dish’s signal can also spell trouble. You can also lose your dish signal if your dish installation hardware(e.g the decoder’s tuner, cables, connectors, dish) degrades in the long run. Please make it a point of duty to check the health of this items regularly. A cut in your cable can cause a signal loss during extreme weather. Finally, we have a situation where the entire installation was poorly done. This has happened to me in the past before I delved into sat tv installation. A guy came to install my dish, everything works well initial, a night after and after a light rain, I experienced a complete signal loss. The culprit here was that the dish shifted because the dish mount was fixed on a very weak plank. Other poor installation factors include dish alignment, LNB skew, cable and connectors, a bird’s nest. Better change the title of this article or u delete it. @Ebo: did you click on the next page of the article? Why would you conclude harshly when you are not done reading? OK, I got it now, well done Mr. Morgan. Keep on educating us. I always enjoy your articles. Bravo !!!! @prosper: please read properly. Especially the page 2 if the article sir. Where is the how to fix the problem of bad weather even if its raining u can watch tv without no signal syndrome. I can’t get it !!!!! @Prosper adevu: the fixes are on the second page(page 2 of the same article) What exactly can’t you get? If you can watch in the rain, can everyone lay claim to the same? Secondly, if you can continue enjoying your channels when there is a windstorm, is this the same with everyone. The article is totally those who are experiencing difficulties watching satellite TV programs with even the slightest change in weather. Not for you who have never experienced such. Thanks and God bless.